You guys know that I've become a big fan of the Clarins brand over the past year. From the Clarins 3-Dot Liner with its precision control to the Clarins Hydra-Essentiel face products, this brand is a skin care and beauty favorite. That's why I was so excited to take part in the Clarins ultimate lip challenge! Are you #TeamSassy or #TeamSweet? 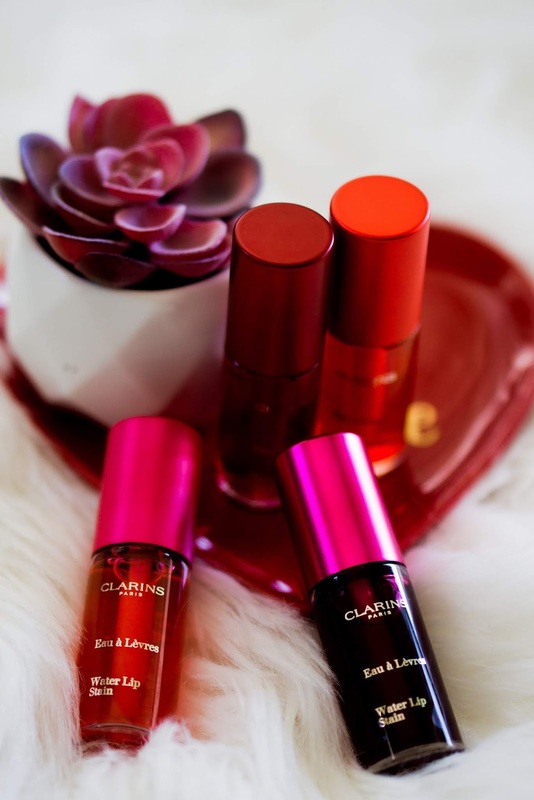 The Clarins Water Lip Stain and Instant Light Lip Comfort Oil are two plant-infused lip products. If you have a bold personality, then you'll probably want to rock the Water Lip Stain. As a member of #TeamSassy, the lip stain is both daring and intense. You get a long-lasting color with a barely there feel. 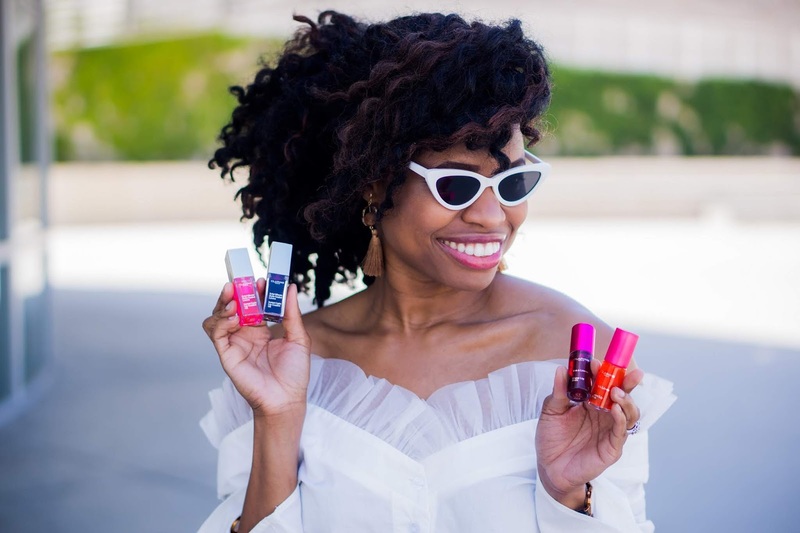 The four shades of the Water Lip Stain are rose water (a light pink), orange water (a fun orange), red water (a soft red) and violet water (my shade of choice). 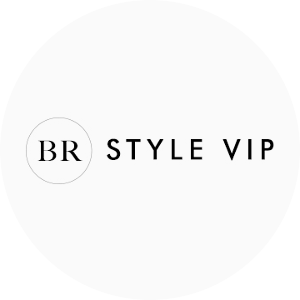 You can layer it under a lipstick or wear it alone for a matte finish. The more coats you apply, the deeper the intensity of the shade. Upon first glance, I totally thought I would be on #TeamSassy. I love that the color is customizable and can last up to 300 kisses -- as I'm not a fan of re-applying. And the violet water shade is right up my alley. I do love that the Water Lip Stain is infused with Aloe Vera, Organic Raspberry Water and Clarins Anti-Pollution Complex. So if you're into a lip stain with buildable color intensity and a matte finish, then #TeamSassy is for you! But for me, it's all about #TeamSweet. 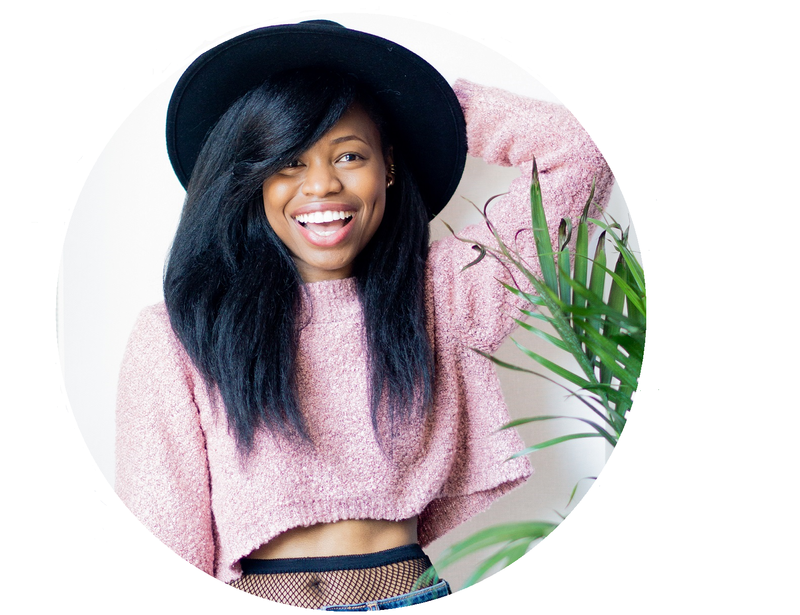 If you're more about subtle and understated beauty, then join me on #TeamSweet and try the Instant Light Lip Comfort Oil. It's the perfect lip oil for a natural, everyday look. In these warm summer months, I'm all about beauty products that provide light coverage that won't weigh me down. That's why I'm on #TeamSweet! With eight shades, there's guaranteed to be a color that suits your skin tone and sweet personality. I can't get enough of the raspberry, red berry and candy colors. And how fun is that mint shade? The Instant Light Lip Comfort Oil is infused with 100% pure plant oils including hazelnut and organic jojoba oil to help protect against dehydration. As a dry skin sufferer, hydrated lips are key for me throughout the year, but especially in both the winter and summer. If you want light color impact, a glossy finish and nourished lips, then #TeamSweet is for you! Are You #TeamSassy or #TeamSweet? So tell me, are you #TeamSassy -- a bold Water Lip Stain -- or are you #TeamSweet -- a subtle Instant Light Lip Comfort Oil? Let me know which team you'd pick in the comments below (you can't be both)! And be sure to check out my Instagram on June 18 where I'll have a giveaway for a chance for you to win your favorite Clarins lip products. Both of these sound lovely but I think I'd be #TeamSweet because subtle and understated is totally up my alley. I need to go check out the Instant Light Lip Comfort Oil. I love the #teamsweet, because I always wear the soft color. Maybe because I have less confident when I wear the too bright color lipstick, idk, hehe that is just me, but all color you have here are awesome! I really need to try this lip stain! The colors are so pretty. Love that team sassy water lip stain! What a gorgeous shade! Team Sassy for sure and that orange water is perfect for me. So please send it over. . . I can't resist a colorful lip so I'm 100% #TeamSassy all the way! What a fun campaign! I'm definitely #teamsassy! I probably would be both! I love fun pops of colors on some days, and more low key colors on others. I love both of them! But I think I'm leaning more toward team sassy! These are all too gorg- I can't pick! Clarins is killin' it lately! I'm so team sassy. I have never tried any of the Clarins products before. I need to get my hands on these. I think I would definitely be a #TeamSassy member! I love a fun, bold lip color any day of the week! I am a more teamsweet. 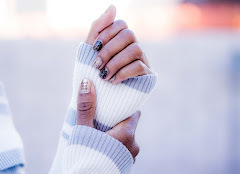 I like that it is more subtle and has a comfort oil in it... Love your post! TEAM SWEET! LOL! OMG. I need these BAD. They're both lovely! WOuld love to try them all. I'll take note of these products. Thanks for sharing dear. Haven't ever tried a lip stain but I love that these are plant infused. Colors are gorgeous too! I've only ever tried the oils not the stains but they're so good on the lips. I love em all. I'll have to check out the stains. Oh wow, I have mixed feelings here, can I maybe be Sassy and Sweet? I think I am totally #teamsweet for the everyday look! I love a more natural, subtle color going into the office! I love how hydrating these lip products are! These sound so fun! I want to try both!! These sound so fun!! I want to try both! I have dry lips and am so glad to see Clarins created a product that truly hydrates and has long lasting color! I'm probably #TeamSweet but who knows with the right product I'm down to try anything! I had no idea Clarins has plant included lip products. I love when makeup uses ingredients from the earth! 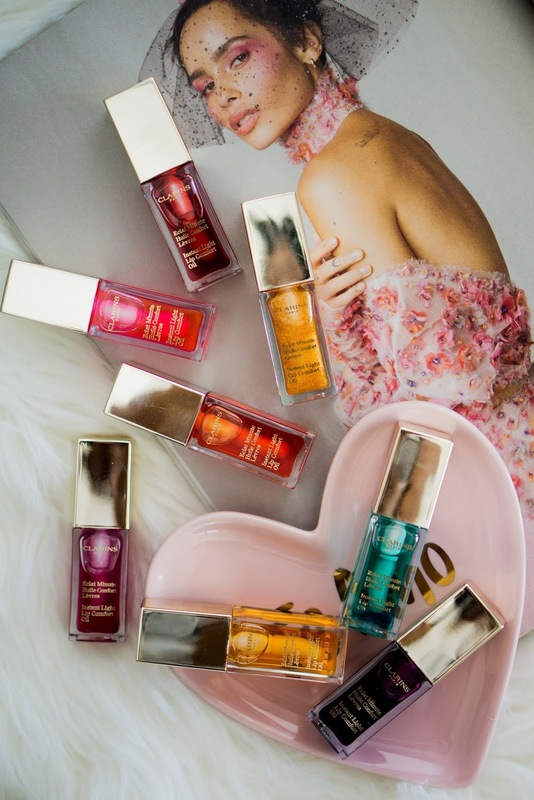 That instant light lip oil is calling my name! It looks so luxurious! I never knew clarins have a lip gloss.